I am a reformed group fitness instructor turned CrossFit junkie! I was crazy active as a kid and soccer was my favorite sport. I got to play travel and Olympic Development-level soccer until I tore my ACL and MCL. The rehab after my surgery is when my love affair with working out began. I managed to forgo the Freshman Fifteen in college by following my own programming and teaching spin classes. I quickly fell in love with the intensity of the spin classes and found I truly enjoyed coaching others to attain their personal fitness goals. But doing the same class over and over again was not cutting it. One day Coach Mike caught me doing bicep curls (a CF no-no), encouraged me to train with him, and led me to the greatest fitness program out there. I was immediately hooked on CrossFit and knew I wanted to coach others to this next level of fitness. I now have the knowledge, certification, and most importantly, the passion to do just that. I love what CrossFit has done for me and feel strongly that everyone can benefit from it! Learning how the body moves and how we can move it more efficiently during each workout is empowering and exciting. If you’ve watched the CrossFit Games and thought ‘no way that’s not for me,’ don’t fret! Number One: We are not world class athletes here! Number Two: Everything we do can be modified based on your ability. If my already-in-great-shape-52-year-old mom can lose 17lbs and transform her body in a matter of months (after much coaxing by me to get her to come because she thought she couldn’t do it), so can you! All of the coaches at CrossFit Zeal are continuously educated through seminars and trainings because we want to become better athletes in order to make you a better athlete! The community here is unlike any other gym you have gone to. I have made so many friends here and look forward to seeing their smiling faces when I walk through the door (even at 5:45am)! See you all at the box…3, 2, 1, go! I CrossFit because it makes me happy and keeps me sane! 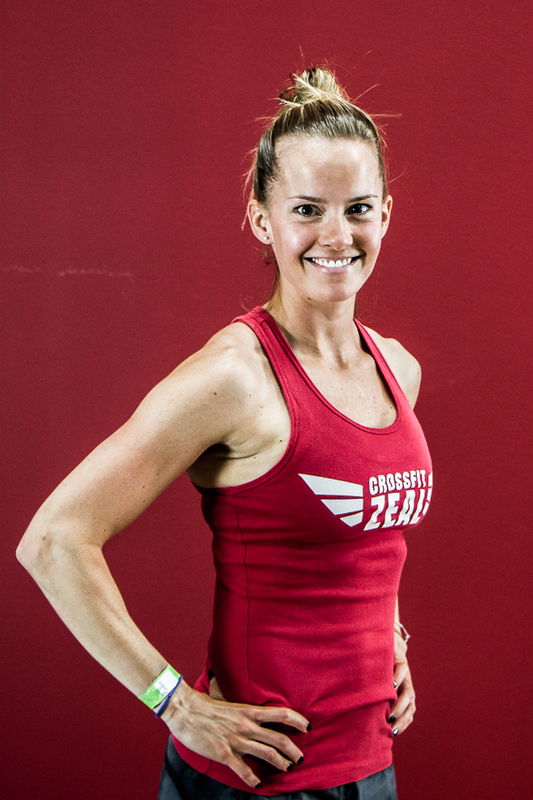 "CrossFit Zeal has exceeded my expectations and changed my fitness goals and way of thinking about exercise. Thanks to Coach Mike for making fitness fun again!" “I can not say enough about how Mike and his knowledge and utilization of CrossFit has helped shape and change my lifestyle."